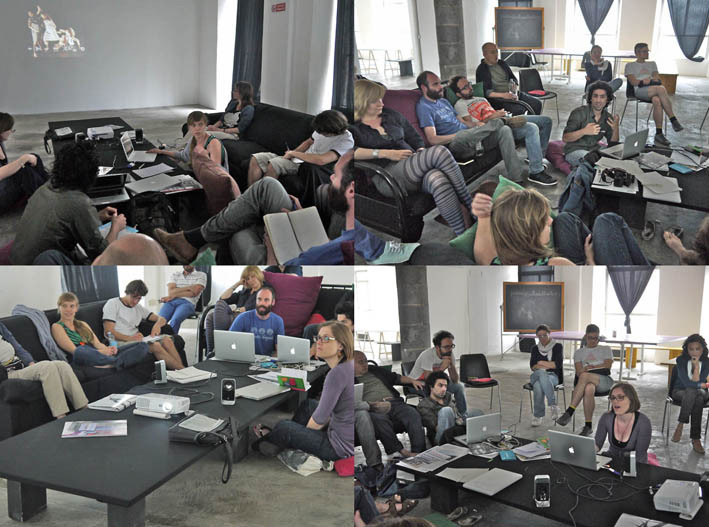 …meanwhile the UNIDEE space starts to fill up! 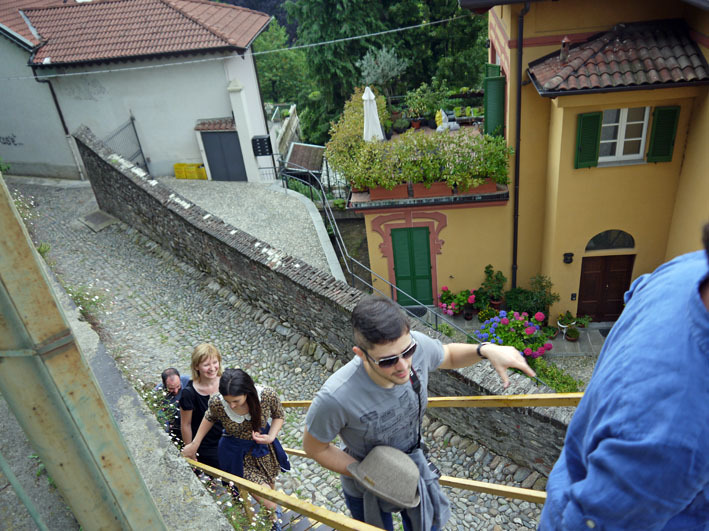 The good people of the La Pigna community in San Remo came to visit us today. 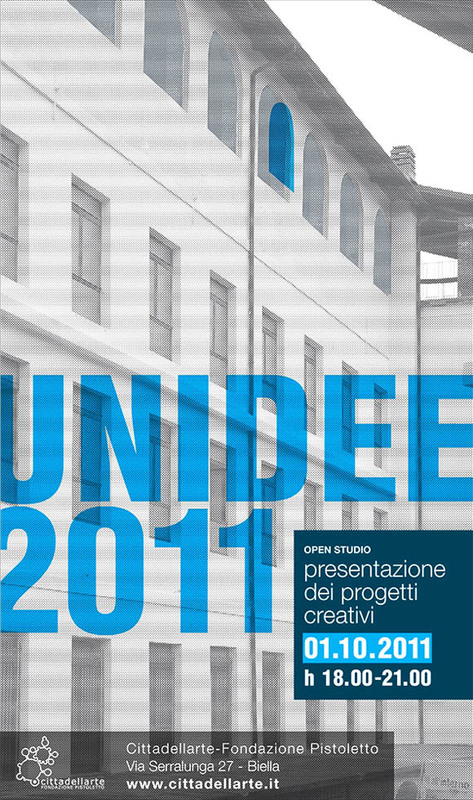 Last year, they initiated a kind of mini residence with UNIDEE. 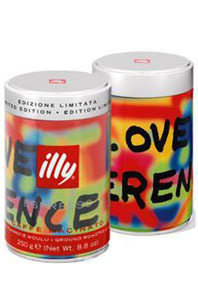 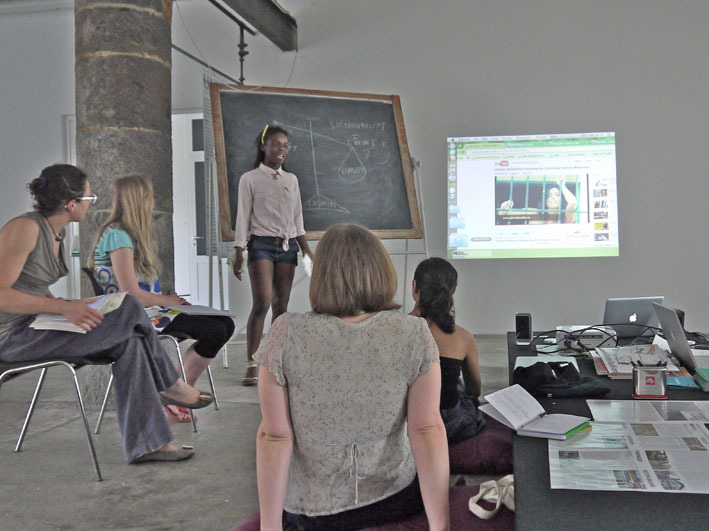 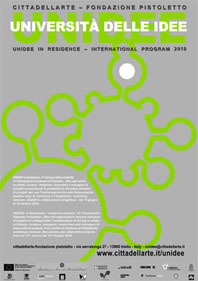 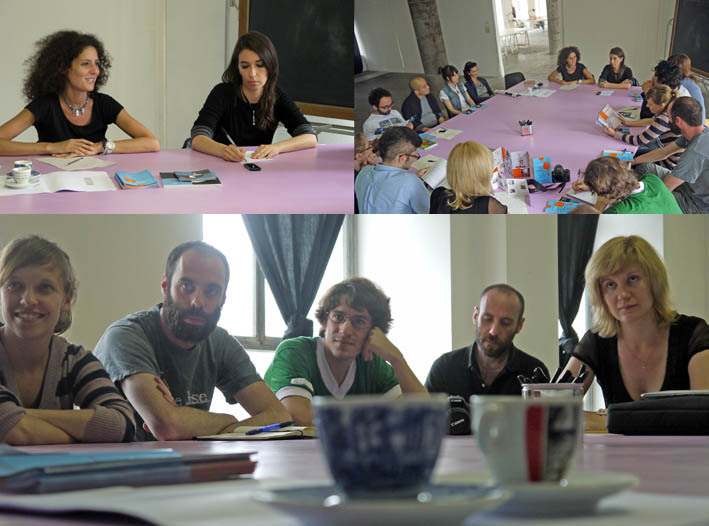 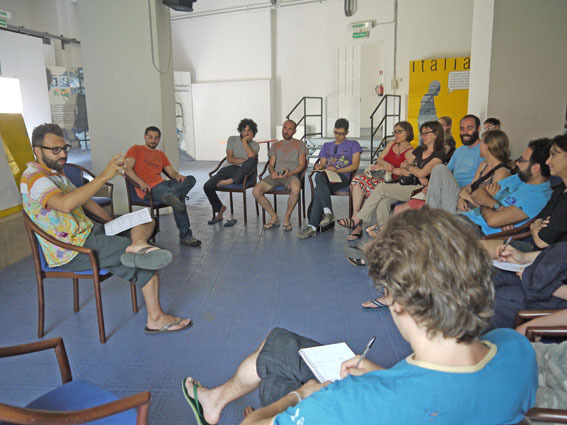 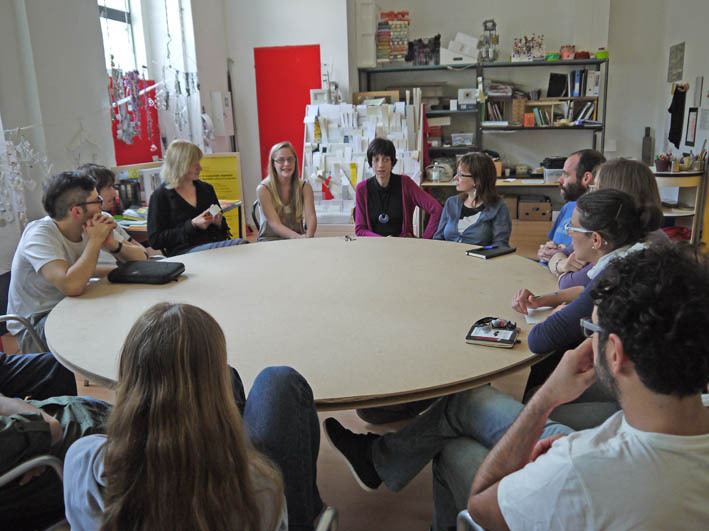 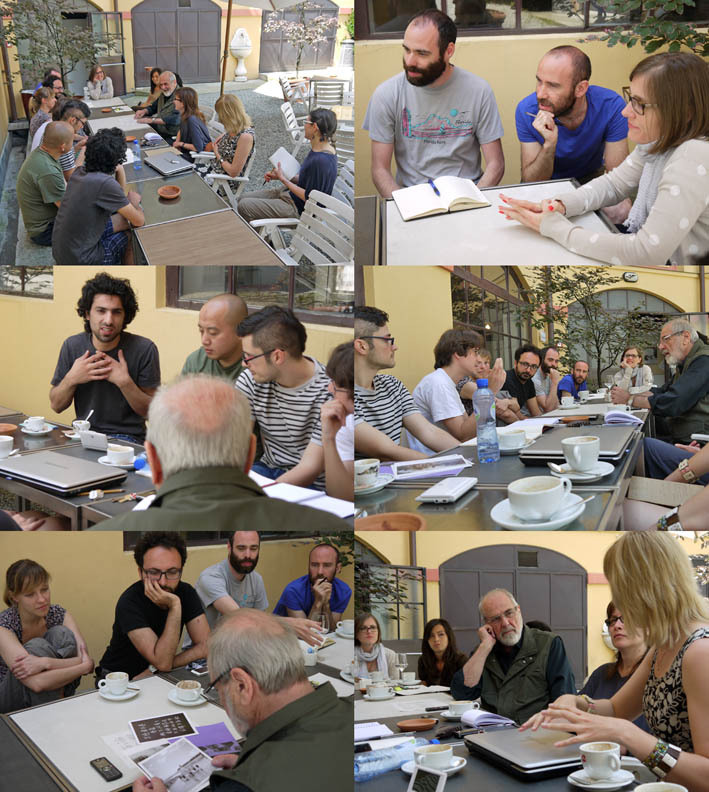 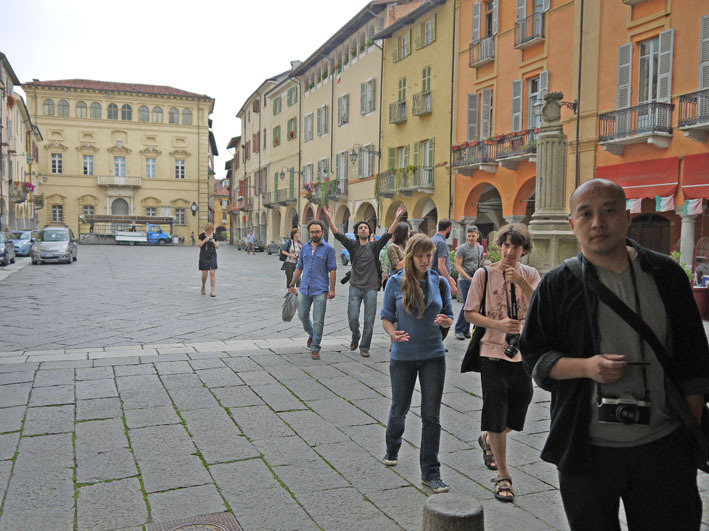 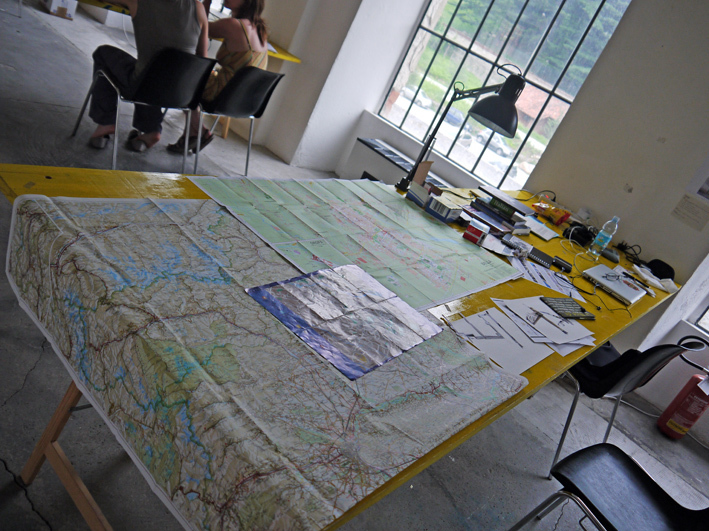 The idea is that the UNIDEE residents go to La Pigna for one week in August where they will be hosted by the community and at the end of the week they are invited to create a work or intervention inspired by their residence there for that week. 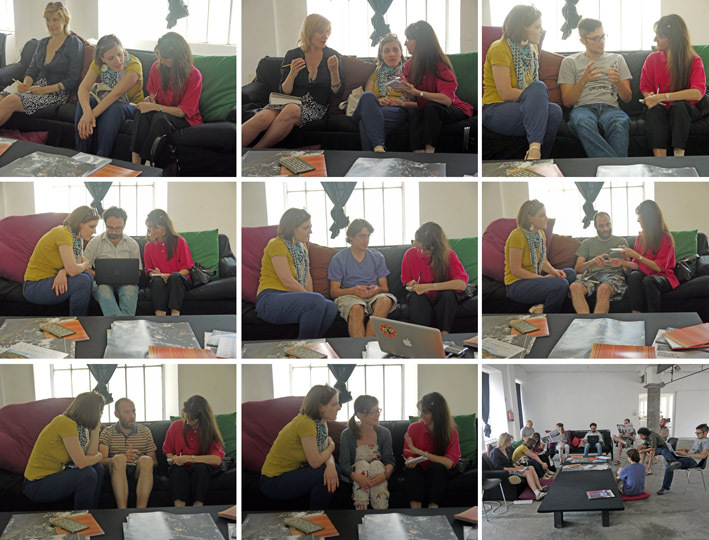 On the sofa with UNIDEE11: a local reporter comes to interview our residents about their work here. 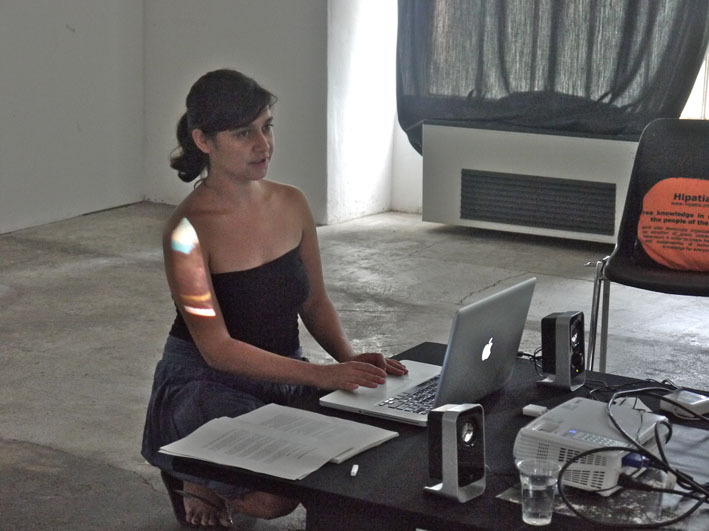 Special mention goes to Nicoletta Daldanise, who was kind enough to help with translation. 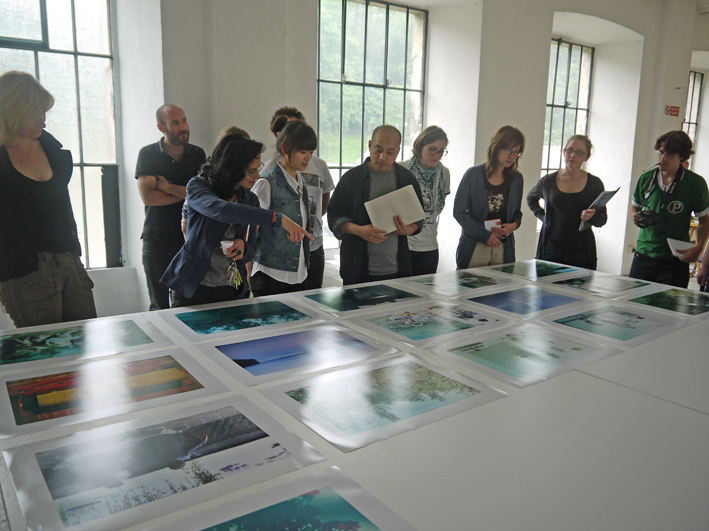 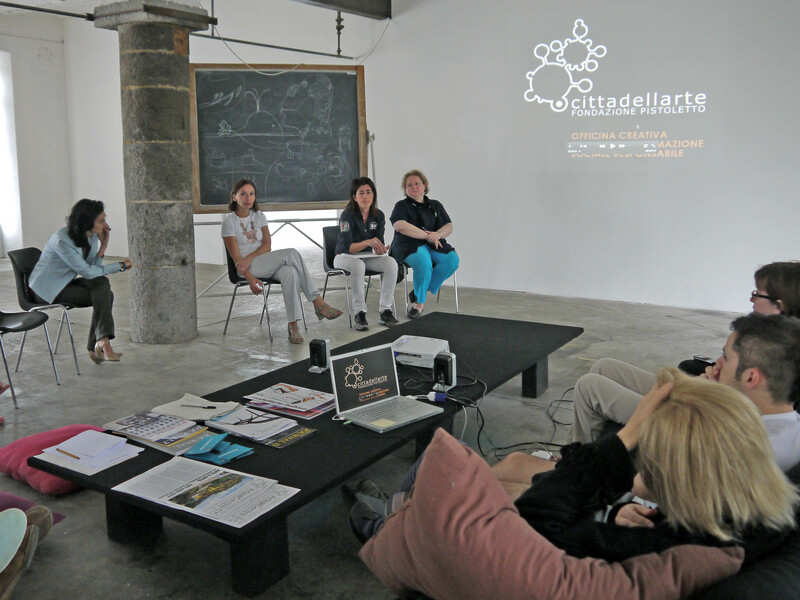 Juan Sandoval, head of Cittadellarte Art office, presented some of his solo and collaborative projects and then showed us round the exhibition ARTECITTÀ. 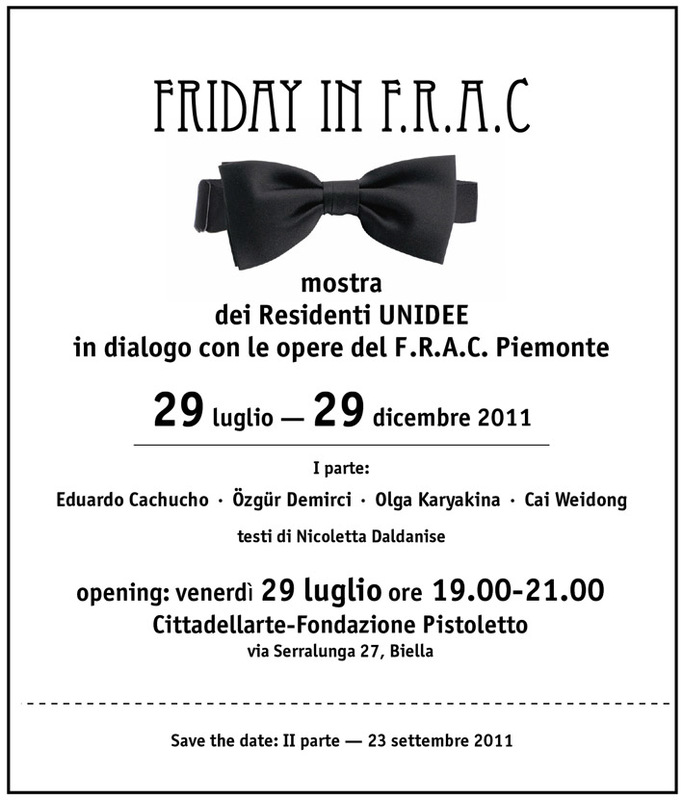 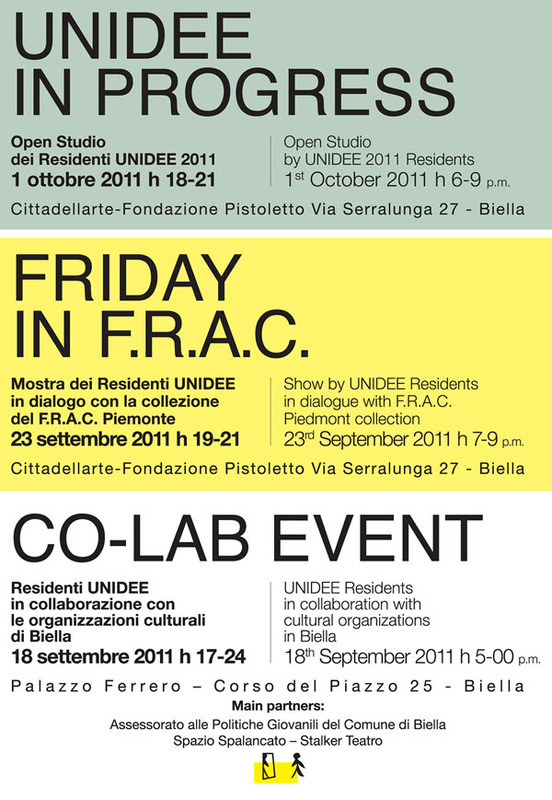 ARTE E TRASFORMAZIONE URBANA and the FRAC (Regional Fund for Contemporary Art) Collection where there is the possibility for the residents to exhibit. 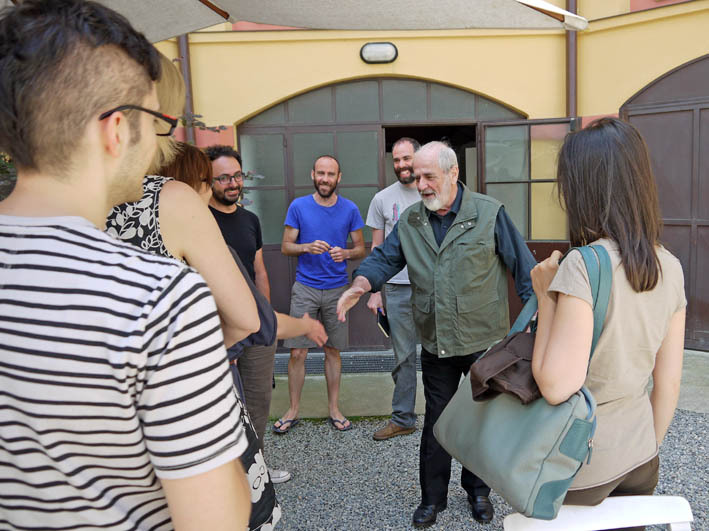 This morning a meeting with Michelangelo and the residents, with introductions to projects and some discussion, later he will show us around some of his artworks here at the Fondazione. 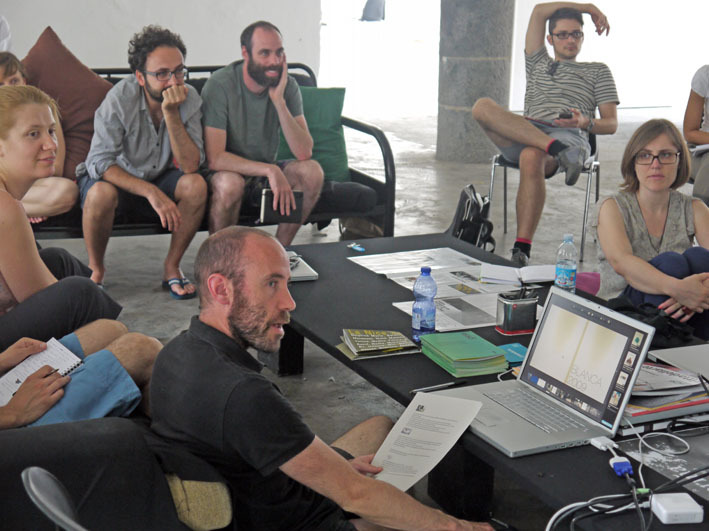 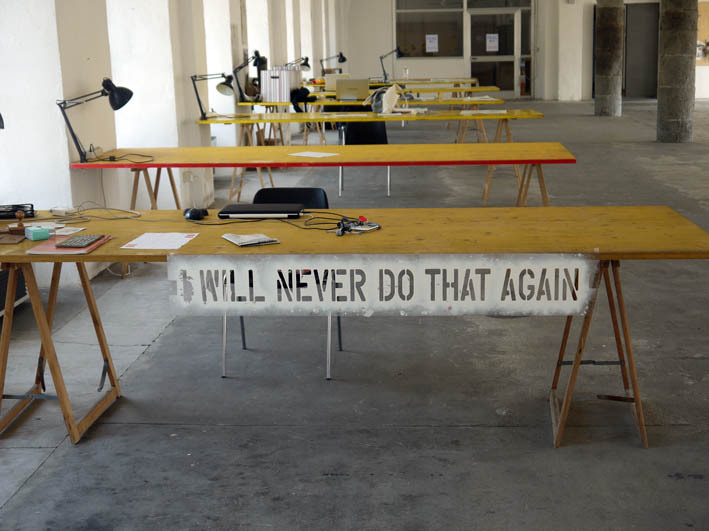 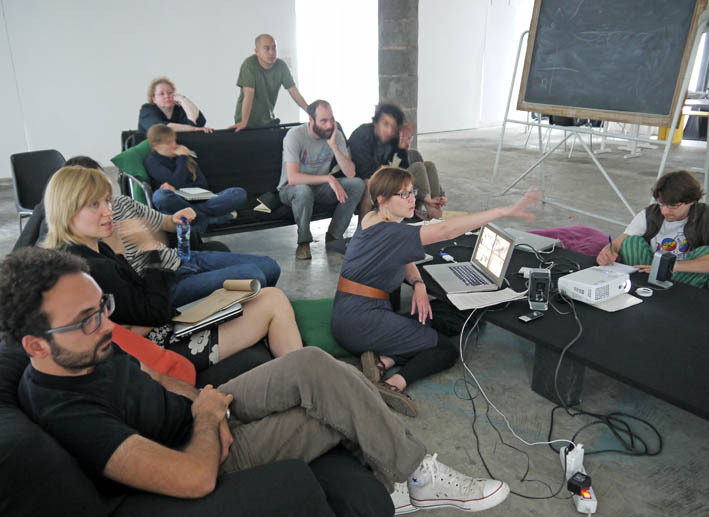 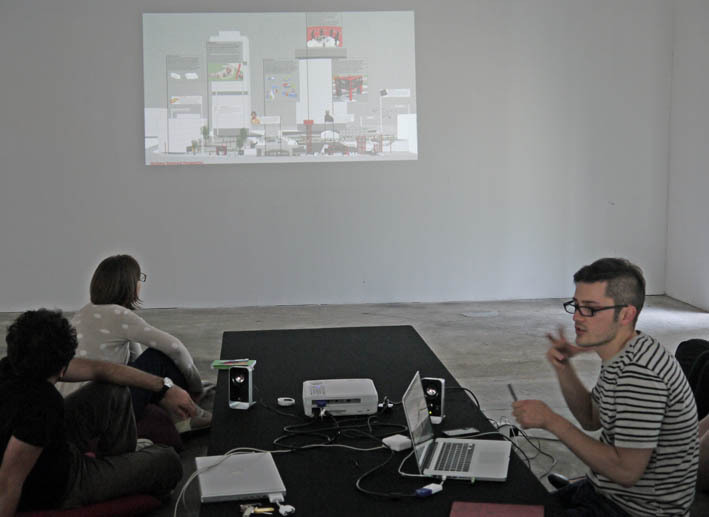 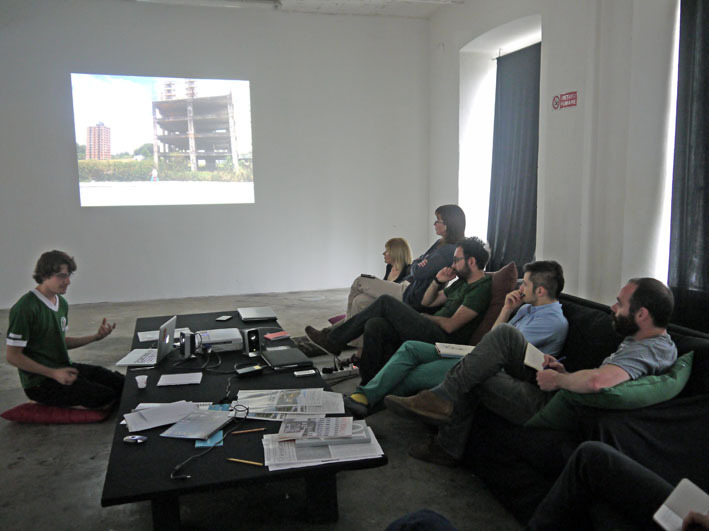 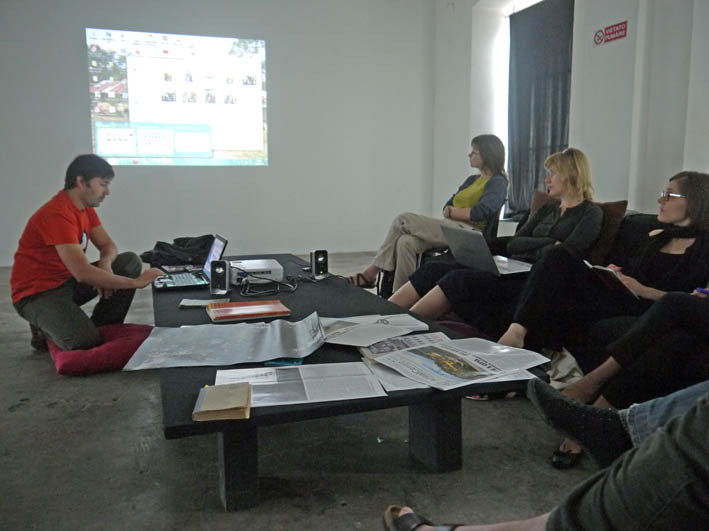 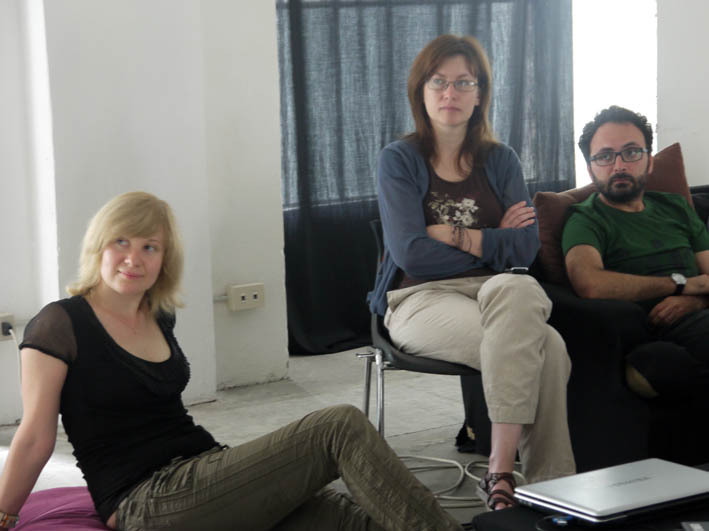 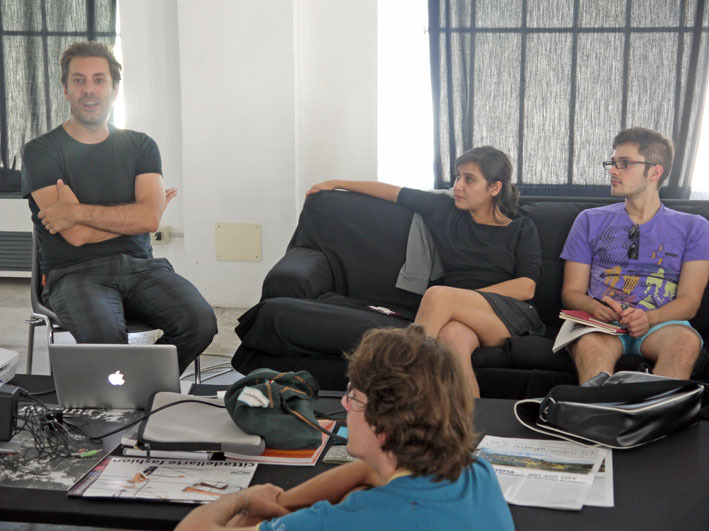 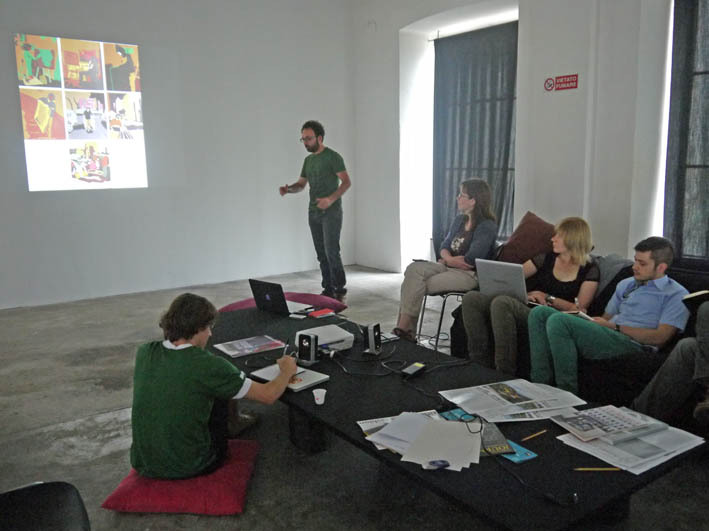 All residents will present their work during the next week or so and their proposals for the next 4 months work, we began with Eduardo Cachucho, who comes from a multidisciplinary background of architecture, graphics and video. 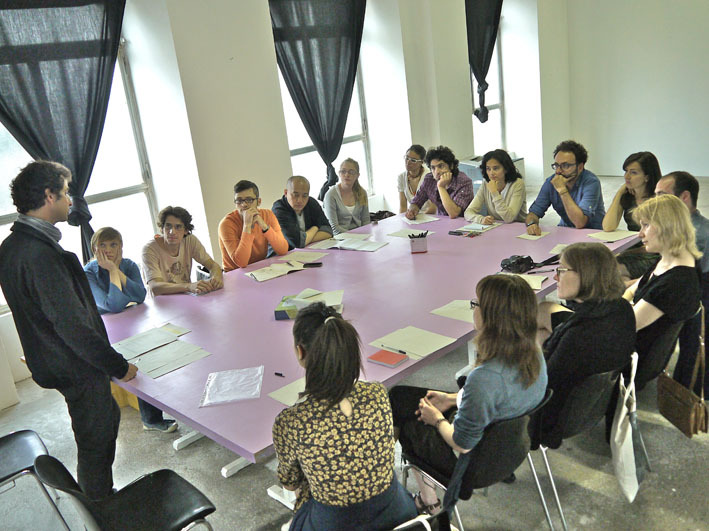 An introduction to Cittadellarte from director Paolo Naldini, Paolo talks about the Fondazione Pistoletto, its history and how it functions and hears about the residents plans for work in the next four months. 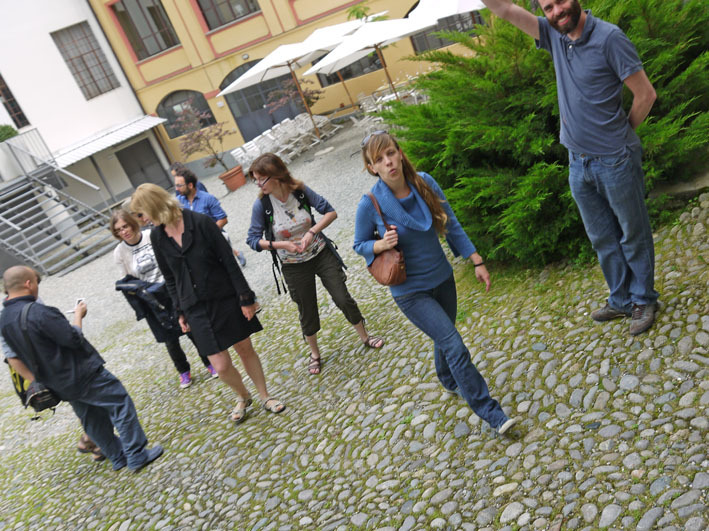 Next week the programme will begin in earnest but for now, there is a whole new territory to be explored, so in the afternoon, a walk up to the Piazzo (a geographical term for a flat slab of land that sits on the top of a hill)…and getting used to moving in a group!